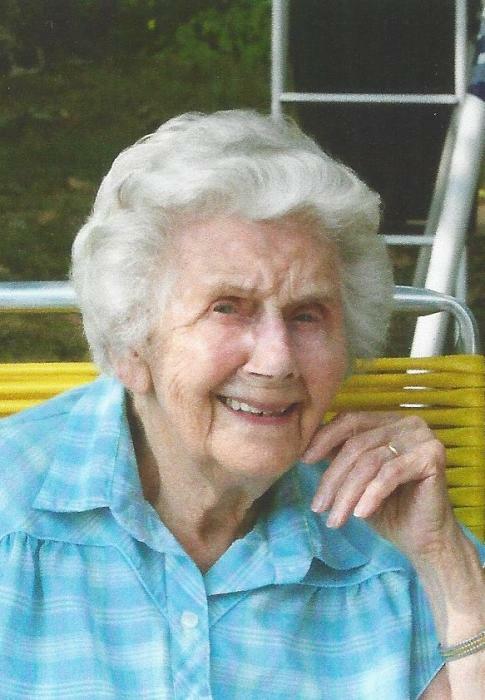 GLENNA DAMRON, 100, of Inverness, FL passed away Thursday, April 4, 2019 at Arbor Trail Rehab & Nursing in Inverness, FL. She was born in Ft. Gay, WV on November 17, 1918 to the late Emery and Susie (Dawson) Thompson. Moving to Florida in 1984, Glenna was retired and attended Rutland Baptist Church in Lake Panasoffkee, FL where she was very active in her church. She enjoyed exercising with her friends at church, and planning church meals and church visitations. Glenna was preceded in death by her husband Burr Damron in 1985; one son Gerald Damron; one daughter, Wilma Blanc; a grandson, James Kevin Marcum; and three brothers and five sisters. She is survived by her children Dennis Damron and his wife Sharon of Huntington, WV, Russell Damron and his wife Kinda of Pennsboro, WV, and Doris Cartt and her husband Dan of Inverness, FL; 11 grandchildren; 21 great grandchildren; 9 great-great grandchildren; several nieces, nephews, and many friends. Funeral services for Glenna will be 1 p.m. Friday, April 12, 2019 at Johnson Tiller Funeral Home with Pastor Mike Dillon and Brother Phil Stapleton officiating. She will be laid to rest at Arrowood Dutton Cemetery in Echo, WV. Visitation will be held from 6 to 9 p.m. Thursday at the funeral home.